Probably all the riders in the Christchurch mountain bike community appreciate the efforts of the Port Hills Rangers, Track Volunteers and occasional contractors. There has however for a long time been another keen builder, unknown to most. For the last 7 years or so, three days a week, Ian Morris has been pedaling up the hill to the Ranger station to volunteer a days work. Plenty of Christchurch locals will have seen Ian plodding up Dyers Pass Road, work boots on, helmet with a cap underneath, most not realizing he’s off to work! Ian is also a regular visitor to the local bike shops, being a true bike fanatic. He has a quiet demeanor, always polite and softly spoken. Recently though he had is bike stolen, so a plan was hatched by Marcus “The Smoke & Spice Man” Peters to get together and get Ian a new bike. 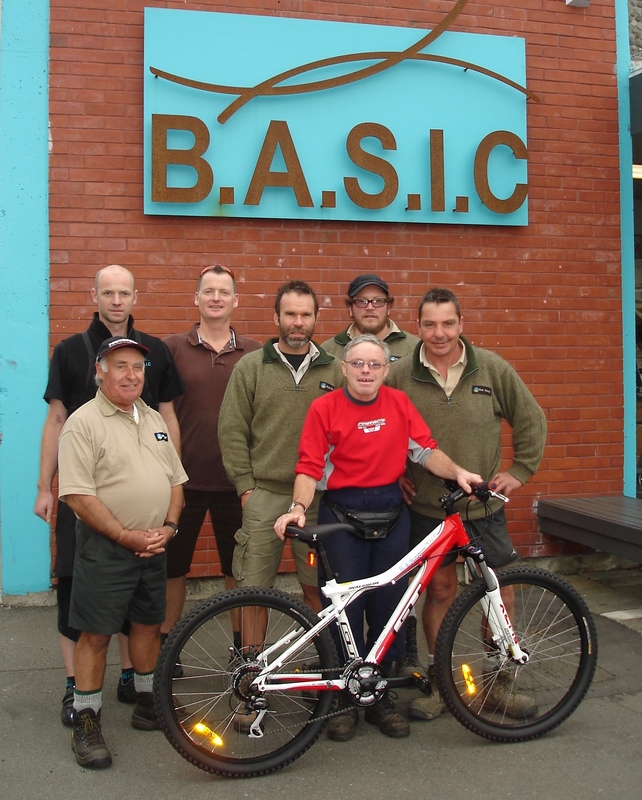 So with the Port Hills Rangers, Marcus and ourselves, Ian got his first ever brand new bike. We think he was pretty stoked! So if you see him give him a nod, or a wave , he does a lot of good work! ← Joplin 4 has Arrived!